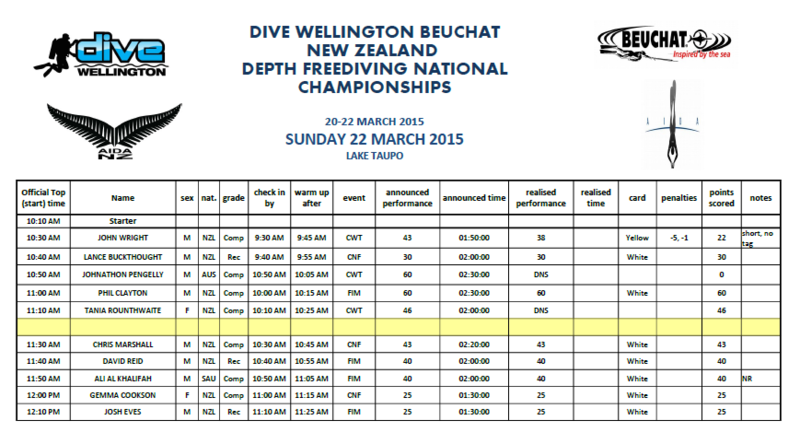 It was a diminished field at the DepthNats as there were several late withdrawals due to illness. 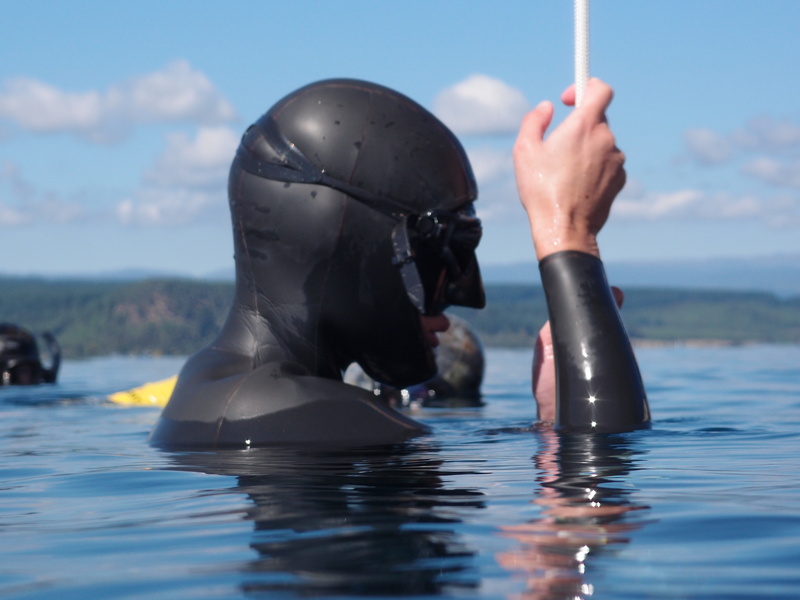 However, those competing did not disappoint. 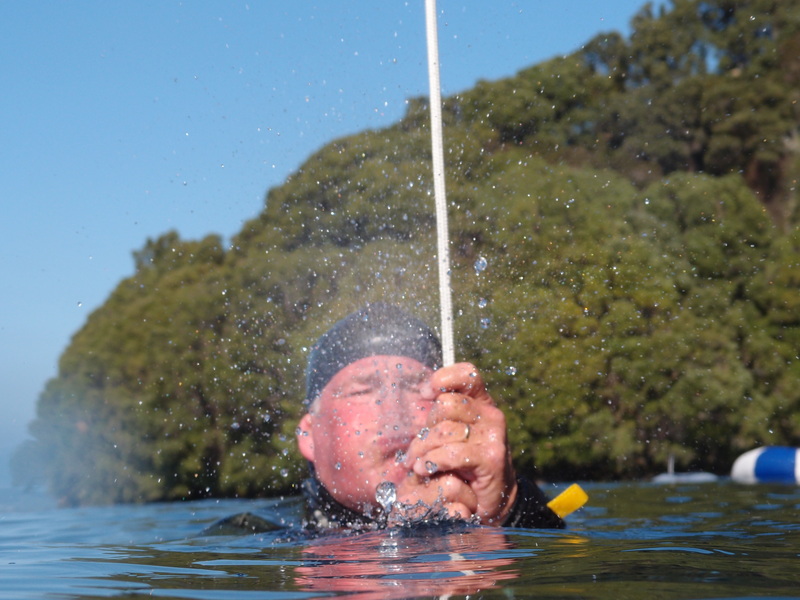 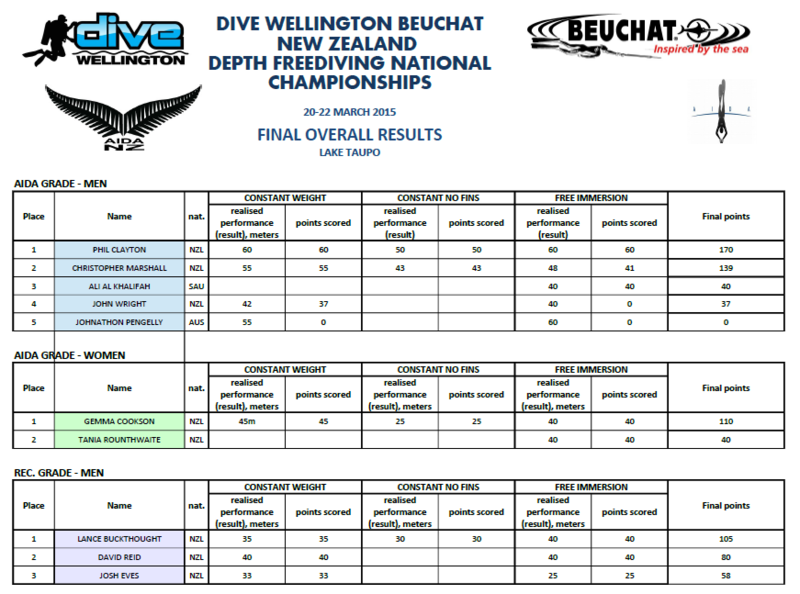 The three Rec grade men all registered dives over 30m, and the Comp grade men all registered dives over 40m, with Aussie John Pengelly performing well, but with two unfortunate red cards going against him. 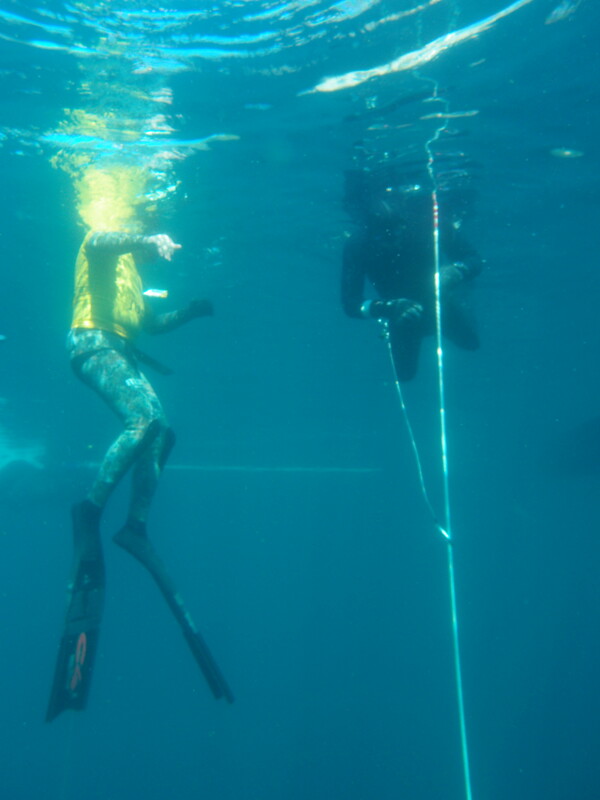 Saudi Ali Al Khalifa, diving with an injured ankle, set a new National Record in Free Immersion 3 times, finishing with a PB NR of 40m. 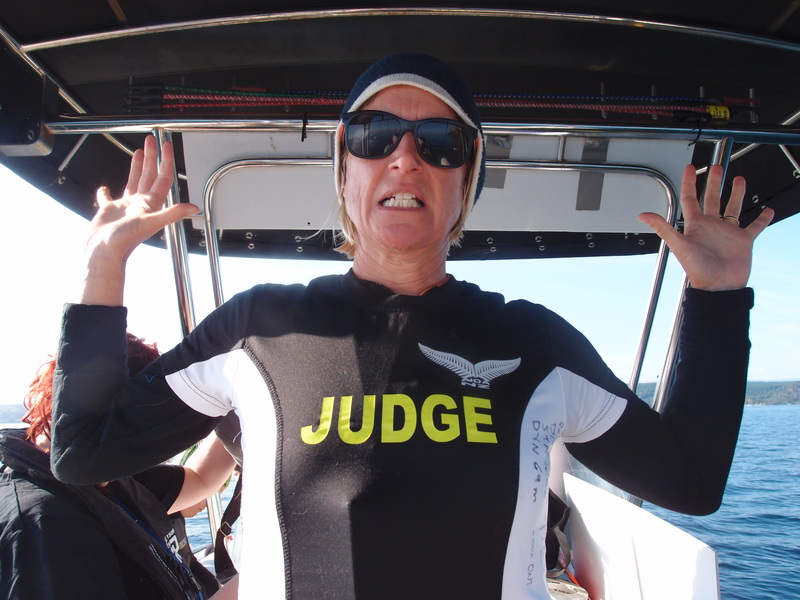 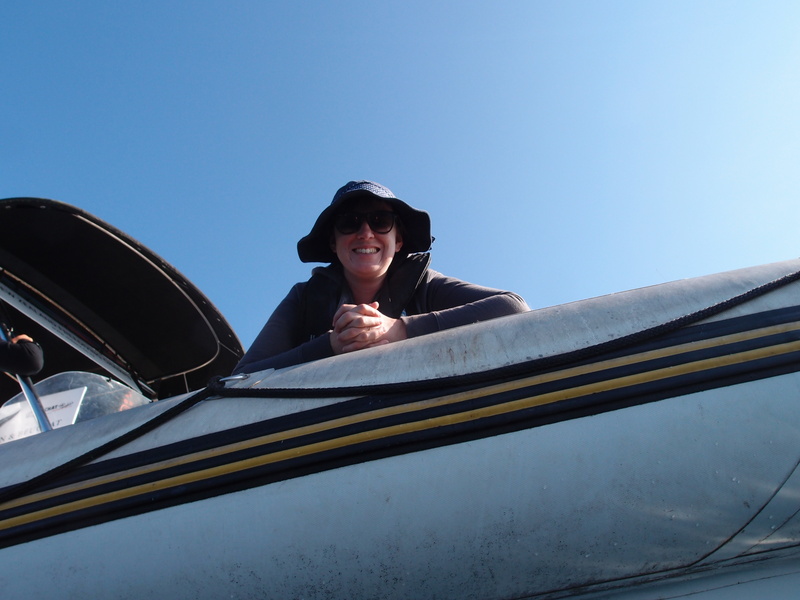 Tania Rounthwaite also managed a fantastic 40m FIM as a final dive on the final day having being sick all week: certainly making her 1 dive count. 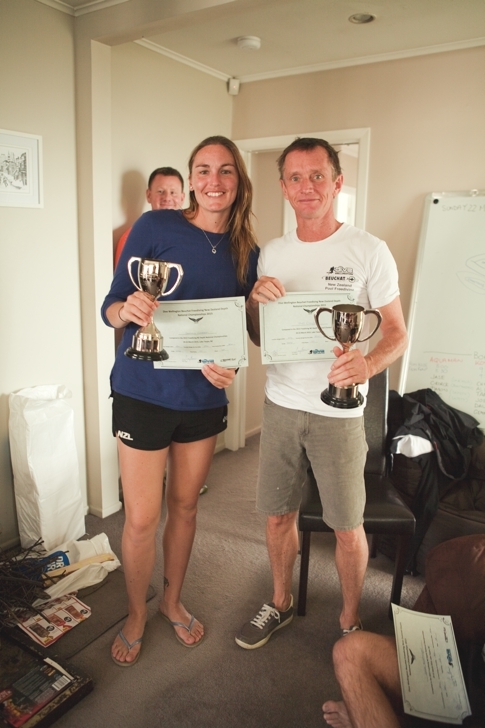 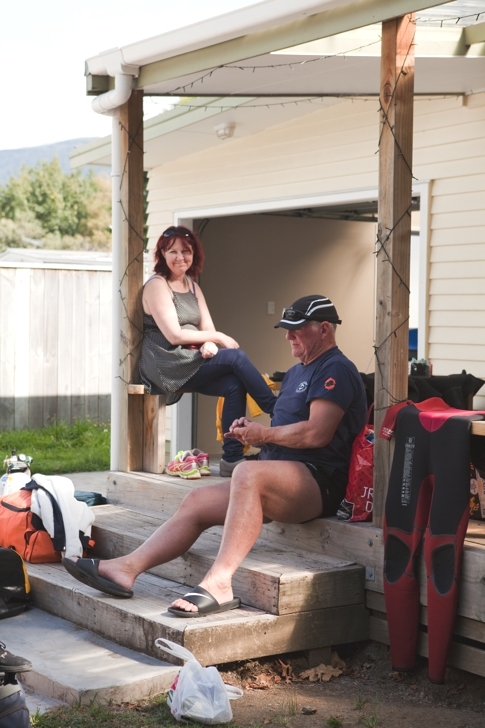 Aucklanders Phil Clayton (60 CWT, 50 CNF, 60 FIM) and Gemma Cookson (45 CWT, 25 CNF, 40 FIM) took out the trophies with solid dives and personal bests. 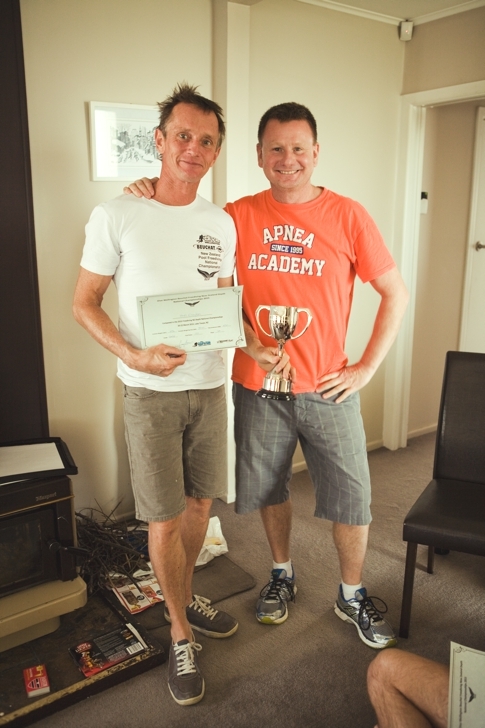 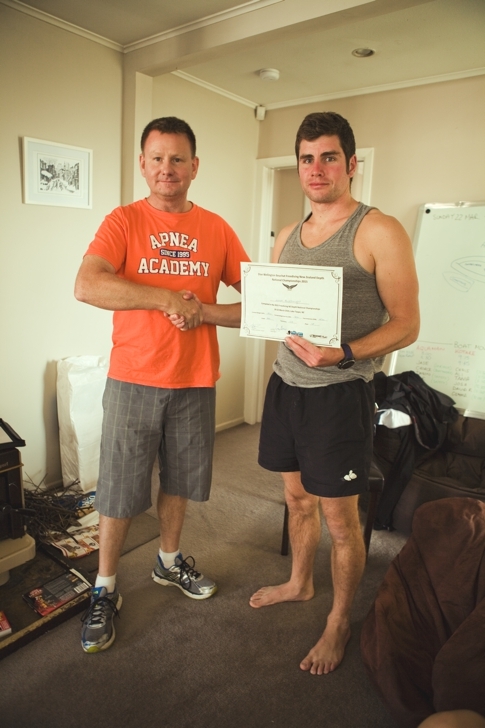 Special mention to Men’s runner up Chris Marshall for a 55 CWT in bi-fins and John Wright for being on the other end of the cards this year (and completing a 13m CNF outside comp as a joke). 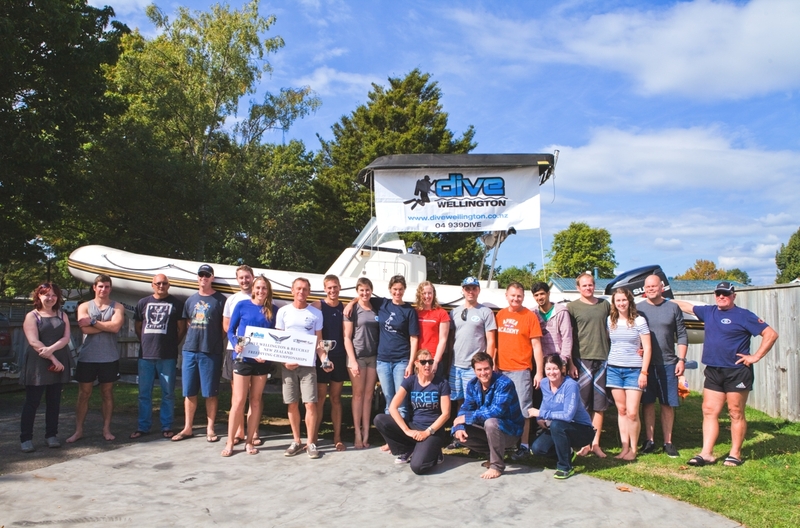 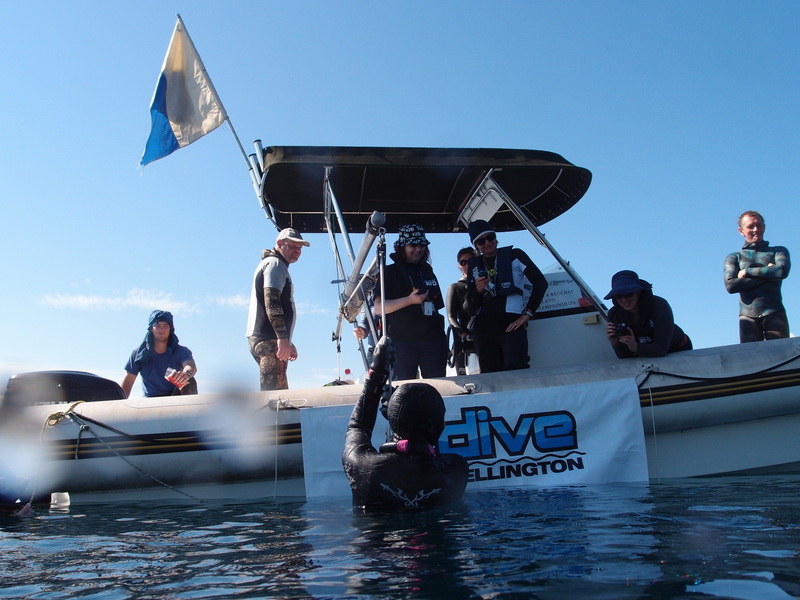 The competition ran smoothly, and we’d like to acknowledge our sponsors – Dive Wellington and Beuchat for helping make this competition happen. 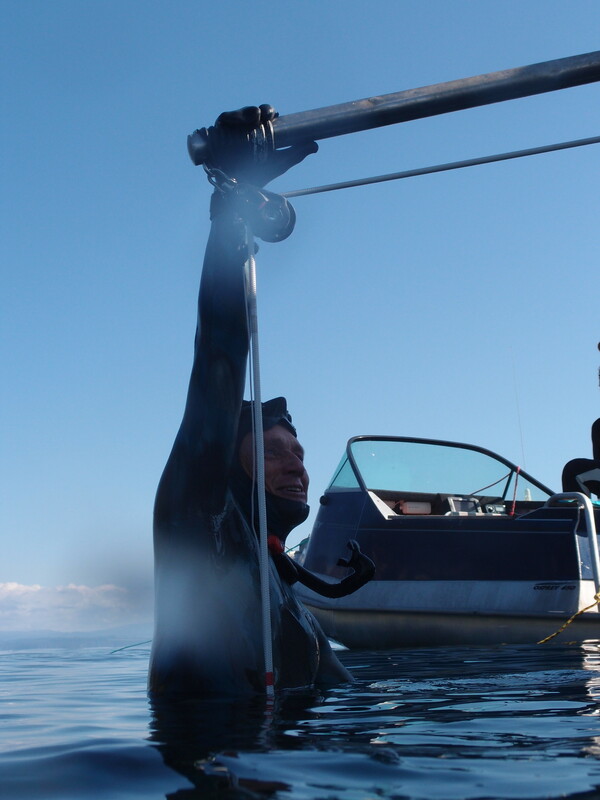 We’d also like to thank our amazing rig master, Jason Craig and boat master George Findlay for running a finely oiled machine. 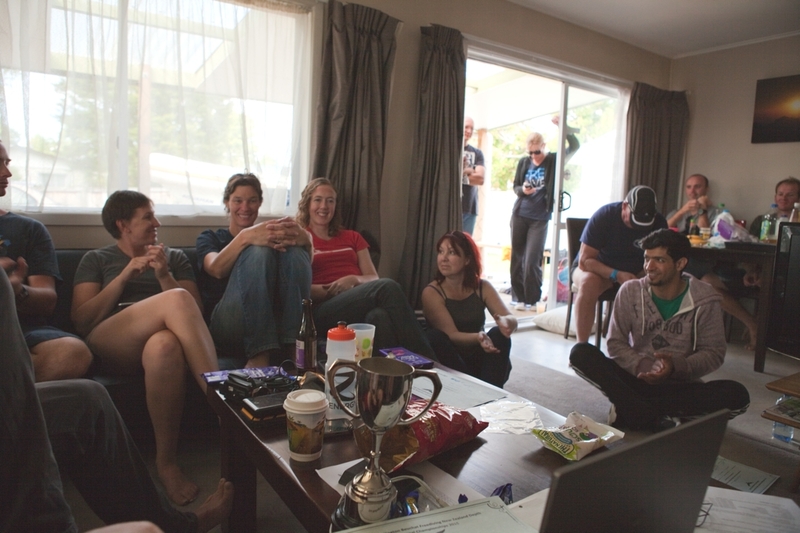 To judges Guy Brew, Joy Keene, Fran Rose and Kathryn Nevatt for their hard work, Kasia Hunt for her long hours in the sun as our medic, and to the rest of the organisational team for making this a really great Depth competition. 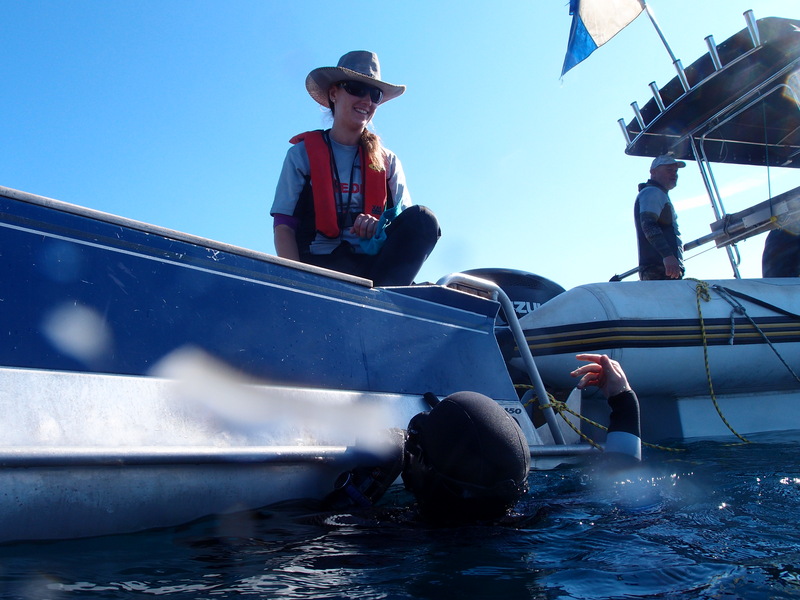 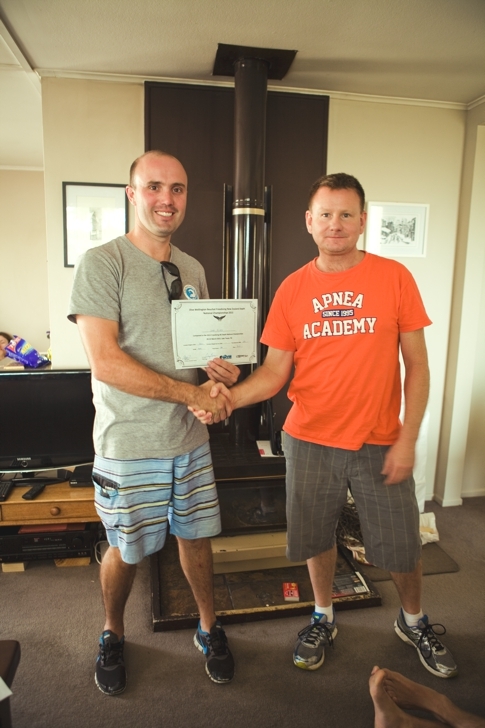 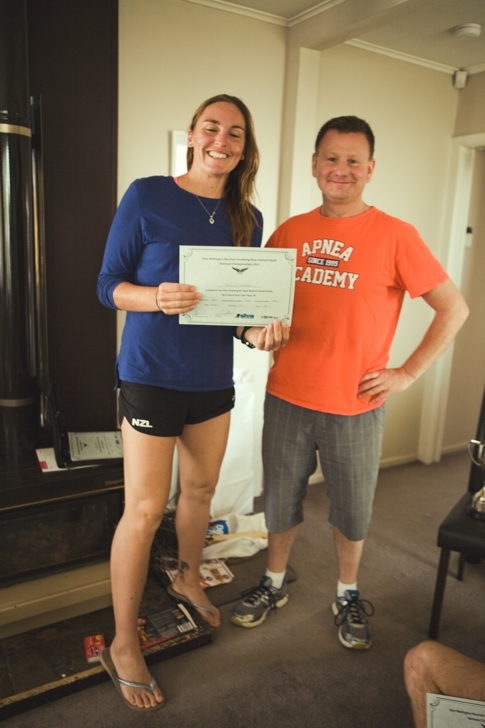 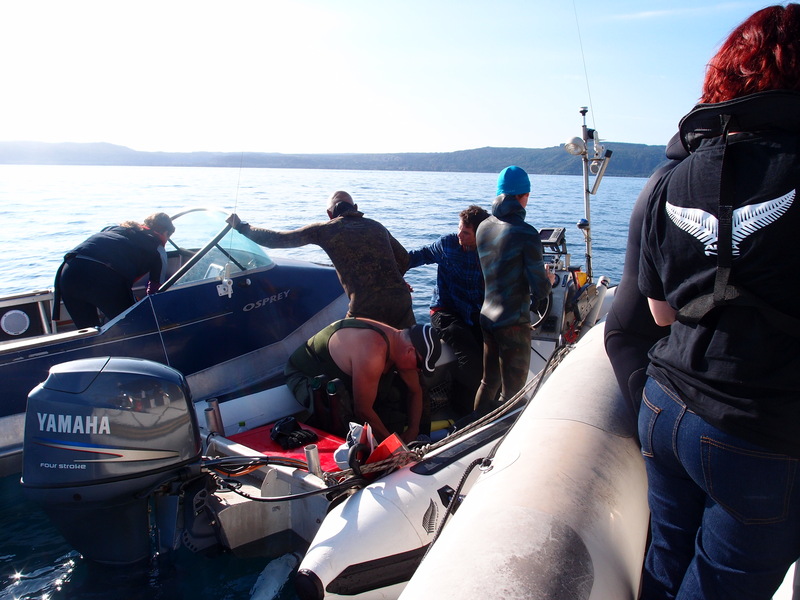 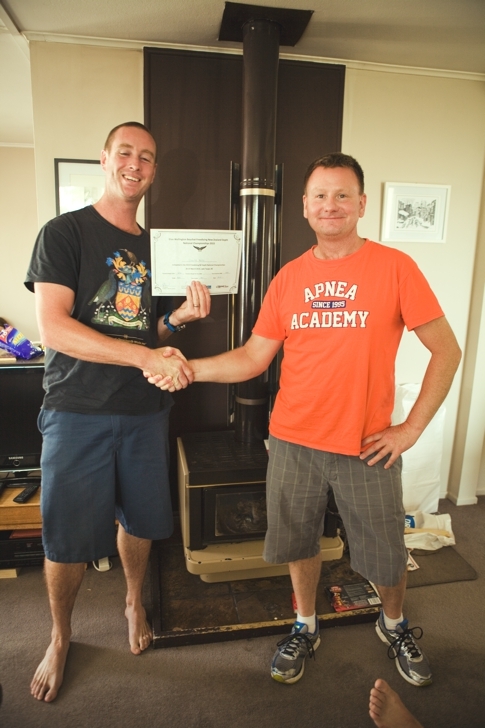 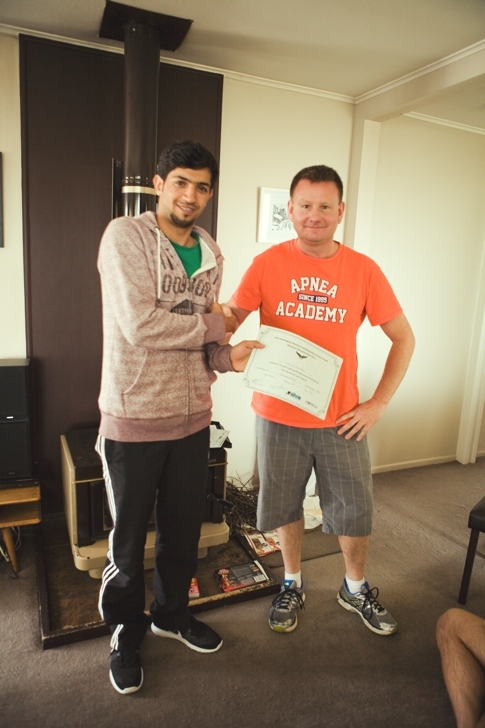 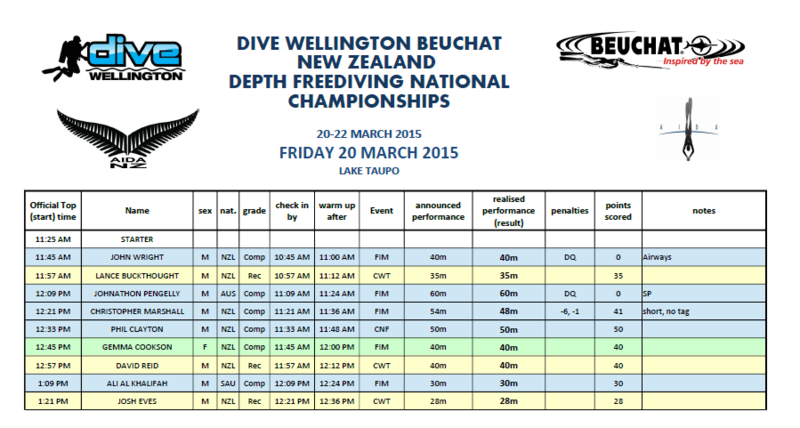 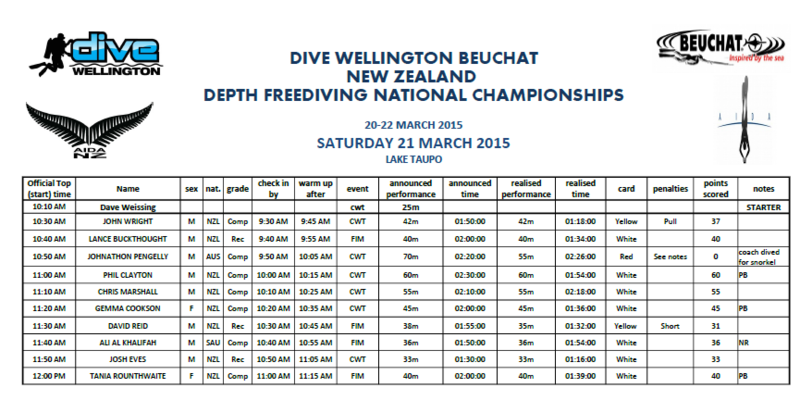 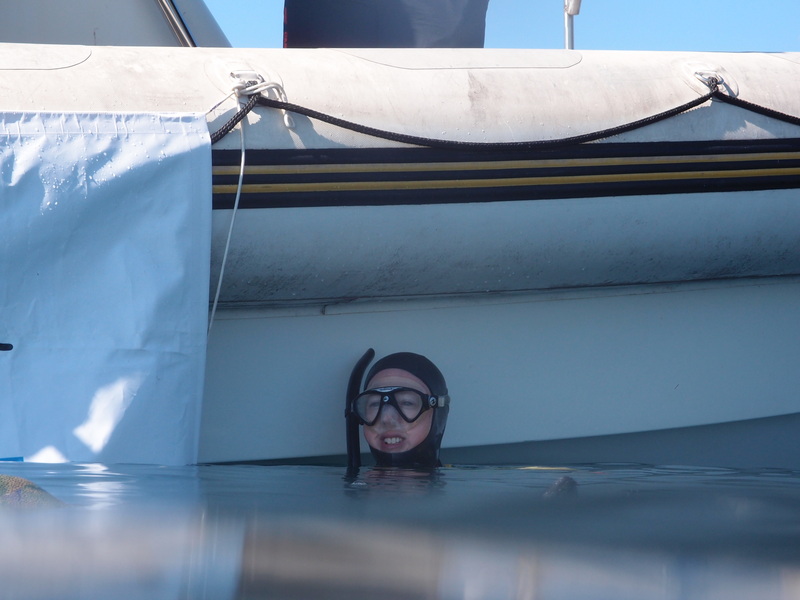 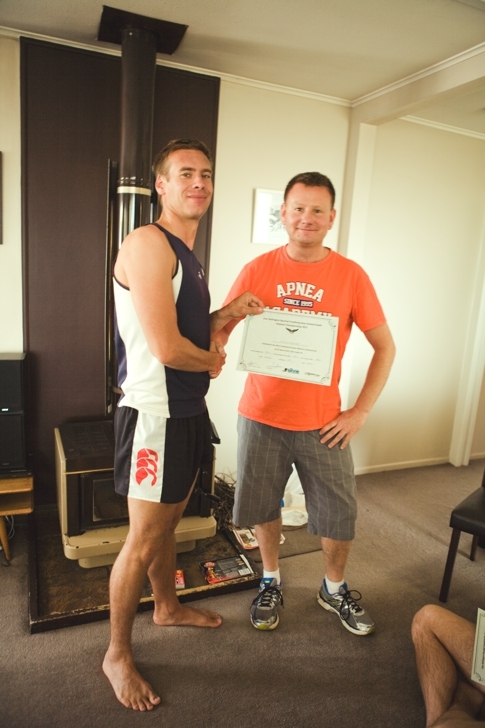 The Dive Wellington Beuchat AIDA New Zealand National Depth Championships were held in Lake Taupo from the 20-22nd March 2015. 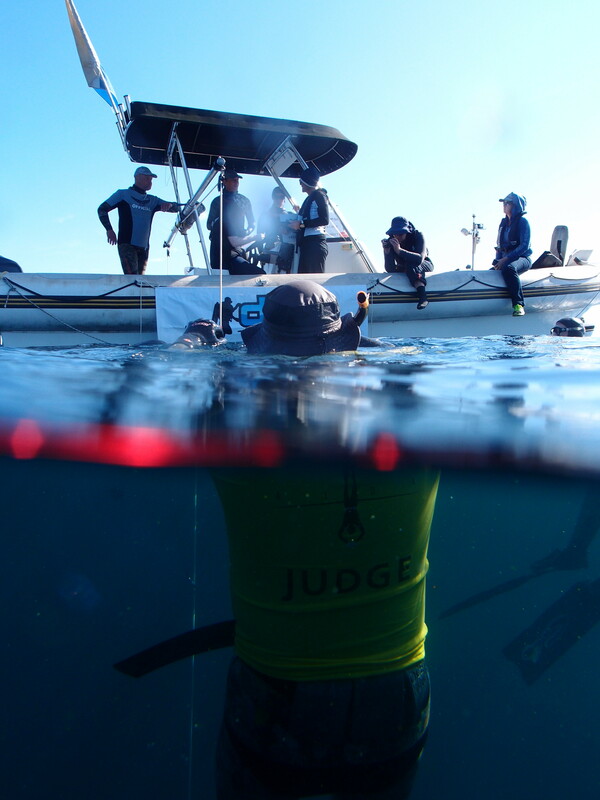 The competition covered three days and competitors were invited (but not obligated) to perform all three depth disciplines (CWT, CNF, FIM), across either a recreational or competition grade. 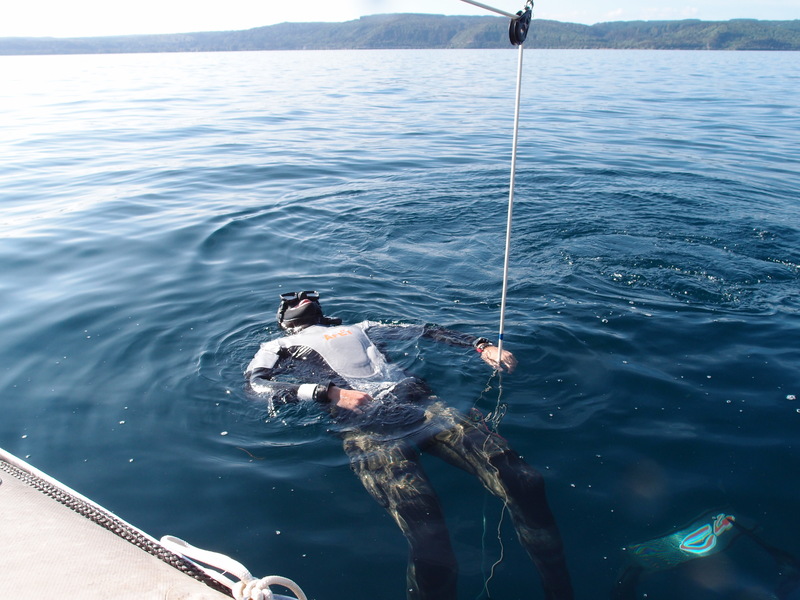 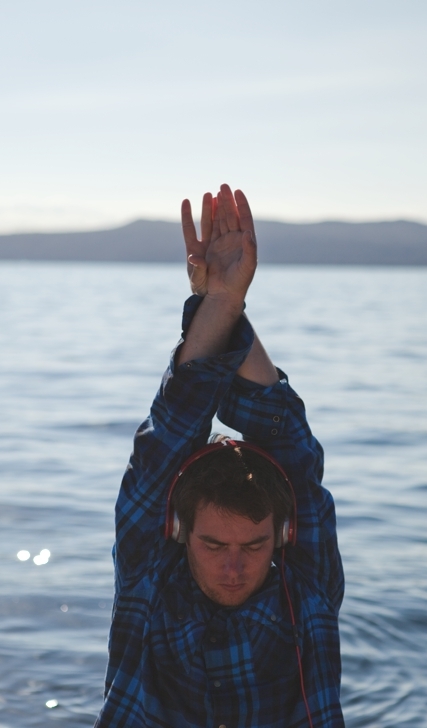 Lake Taupo is the largest fresh water lake in New Zealand, formed from the Taupo caldera, and has a maximum depth of 186m (610 ft), and a thermocline between 25-30m. 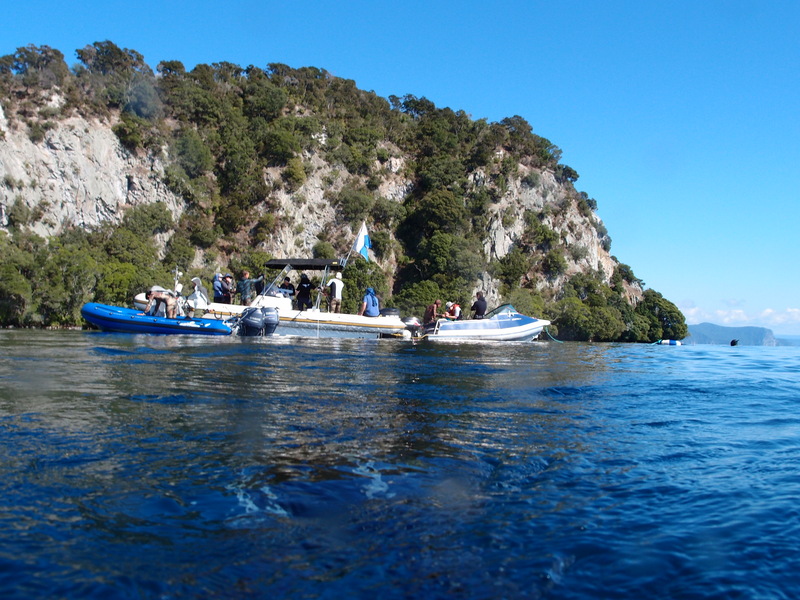 The boats for the competition site (off Motutaiko Island) launch from Motutere Bay. 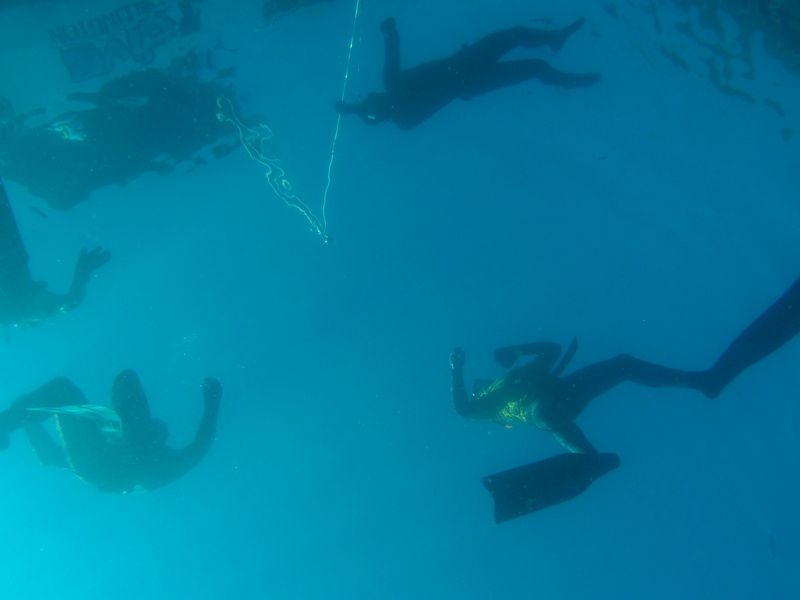 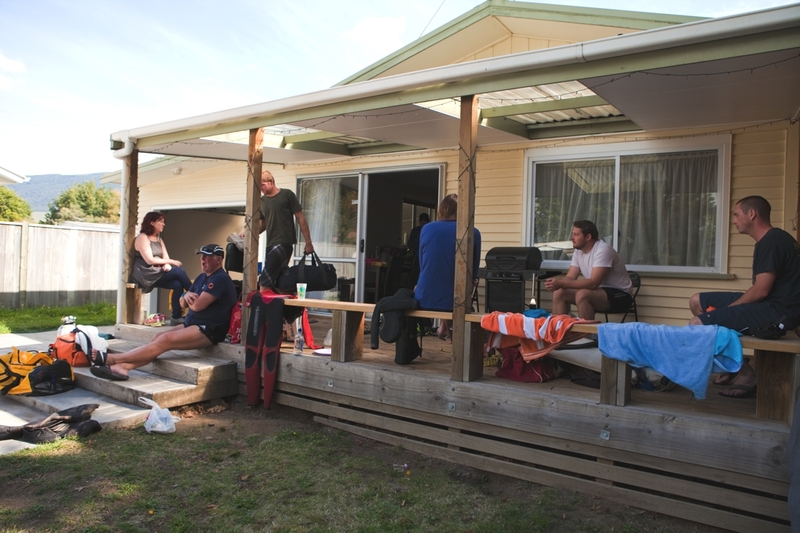 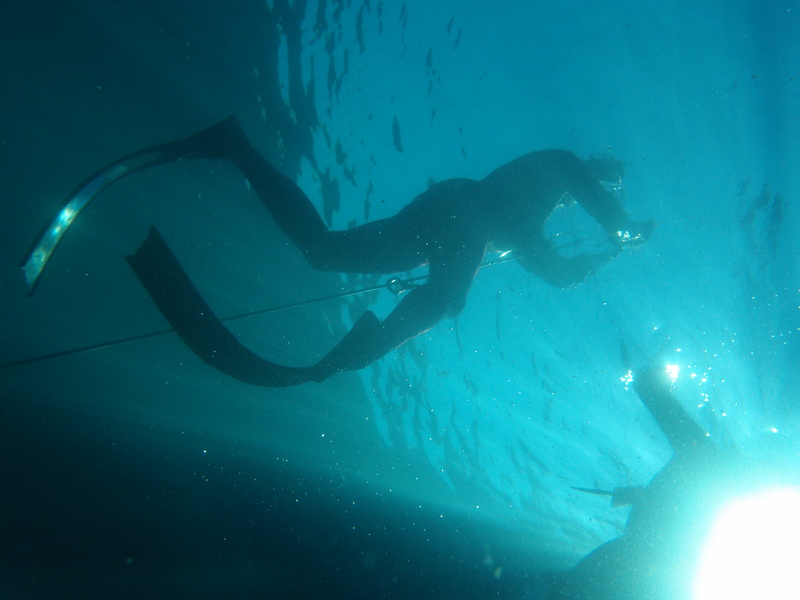 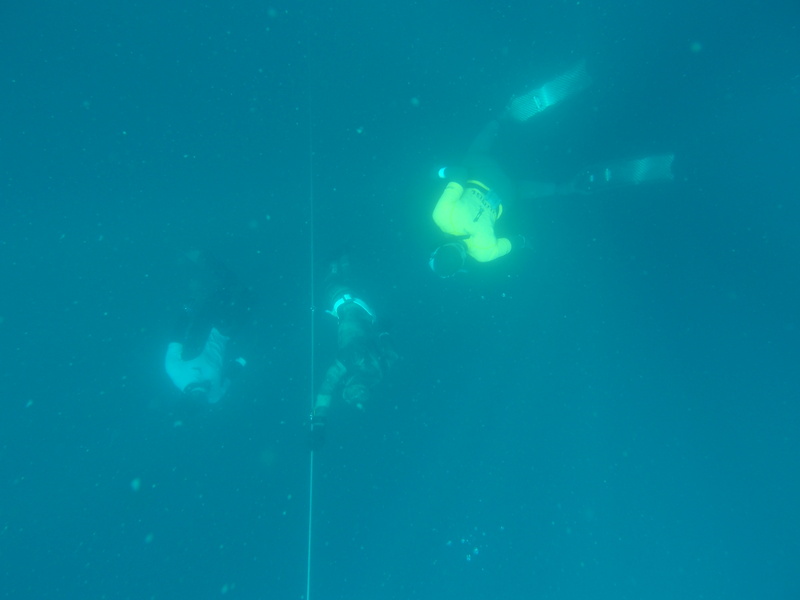 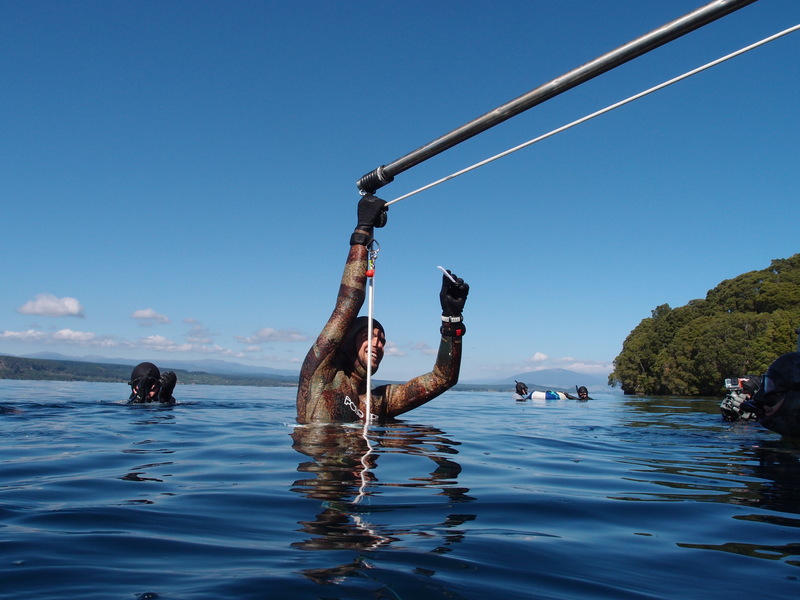 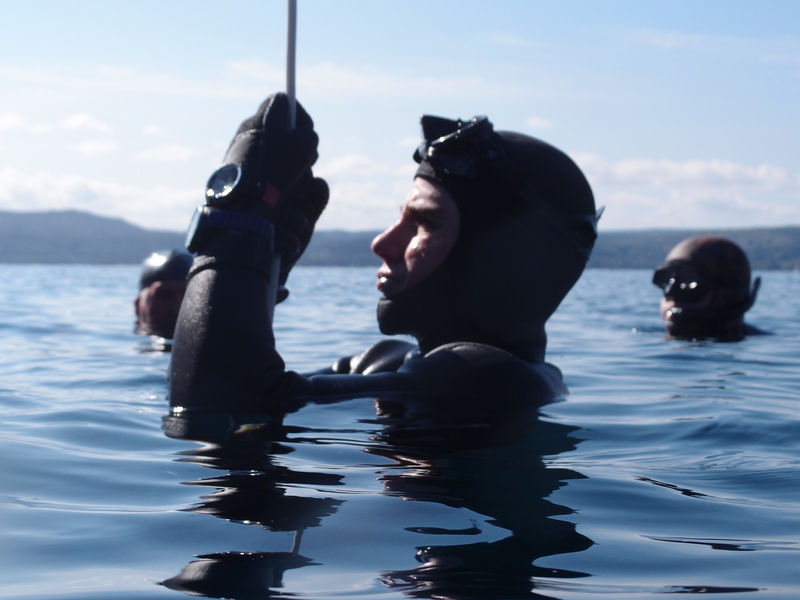 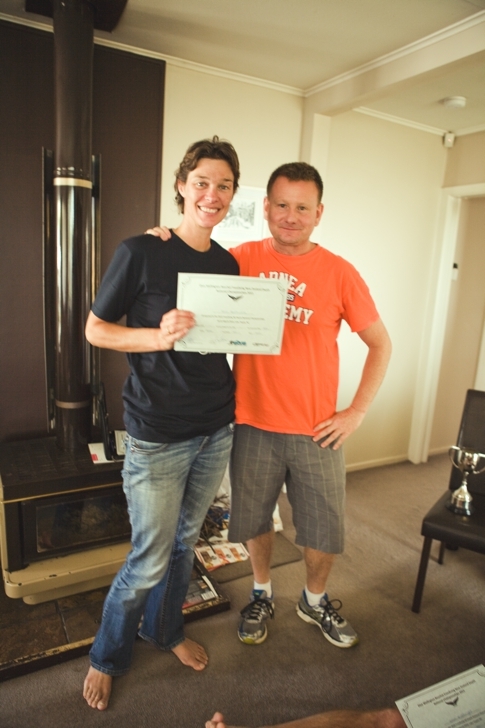 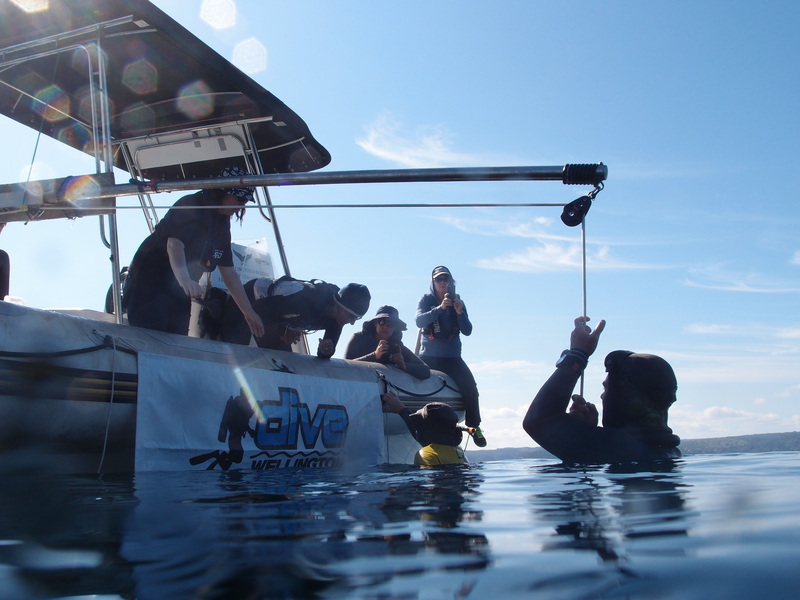 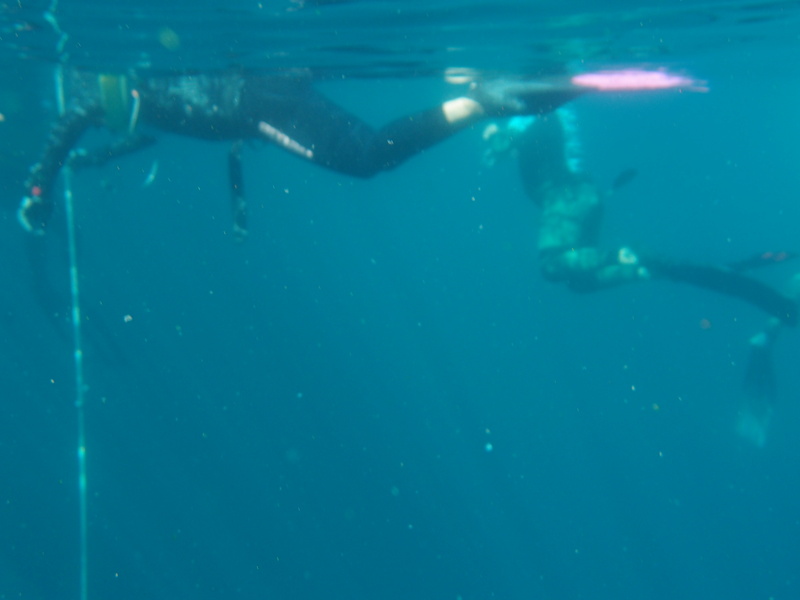 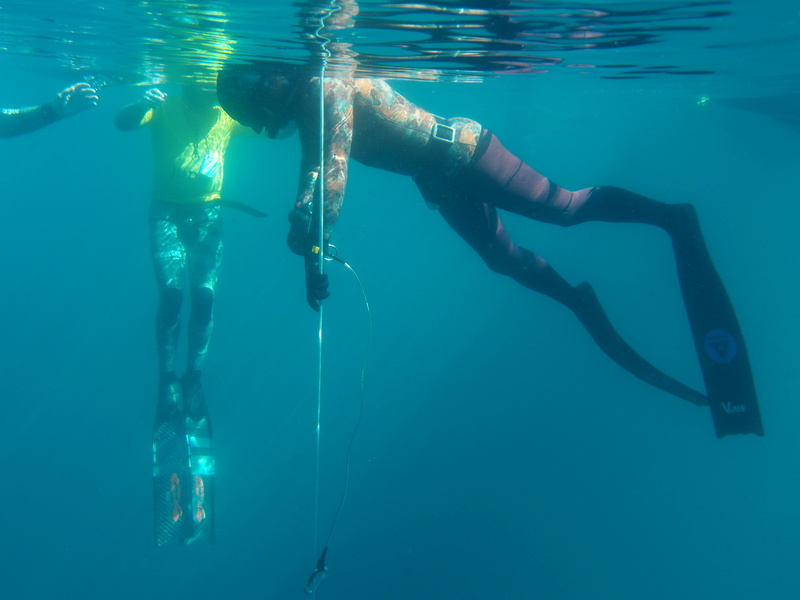 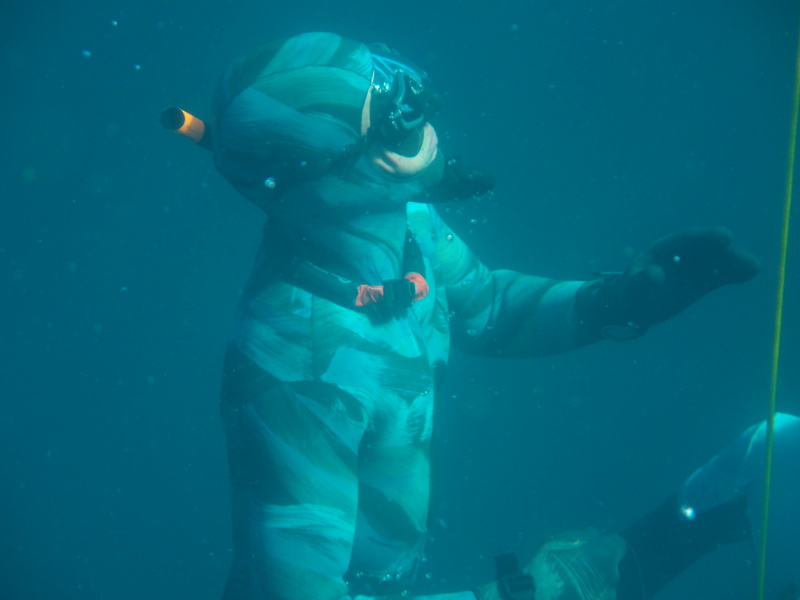 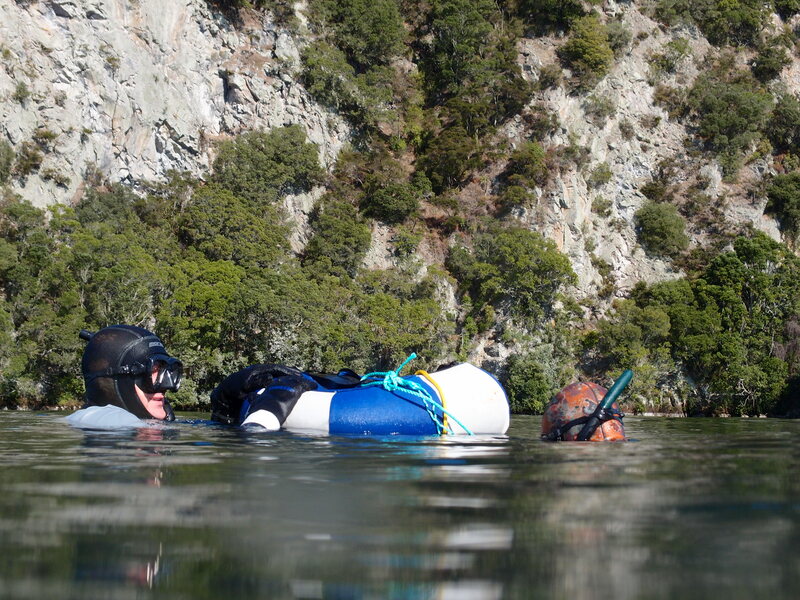 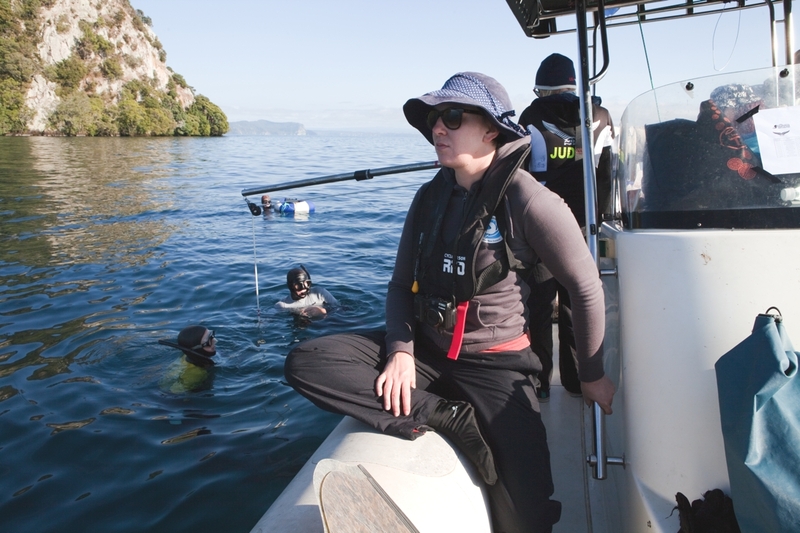 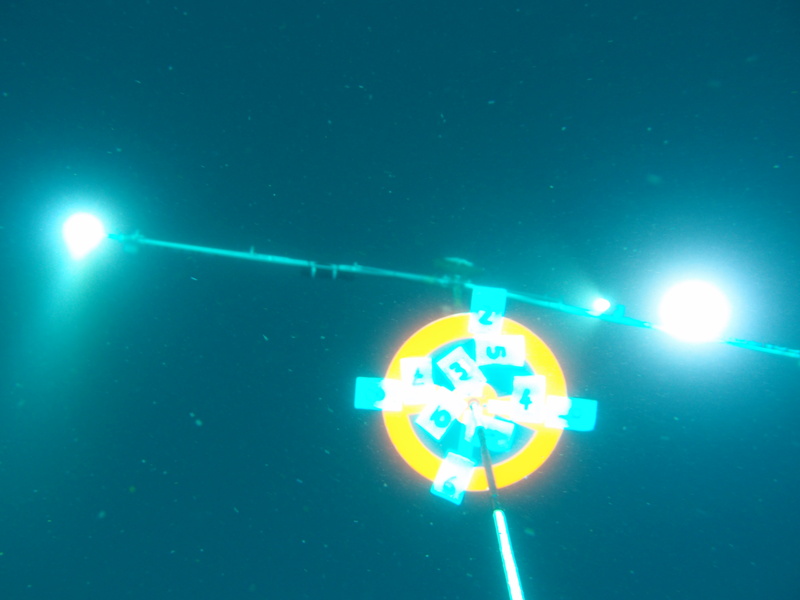 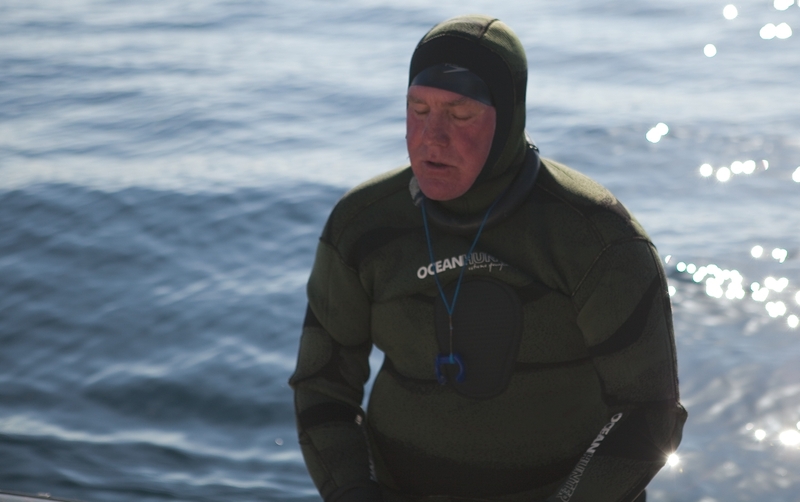 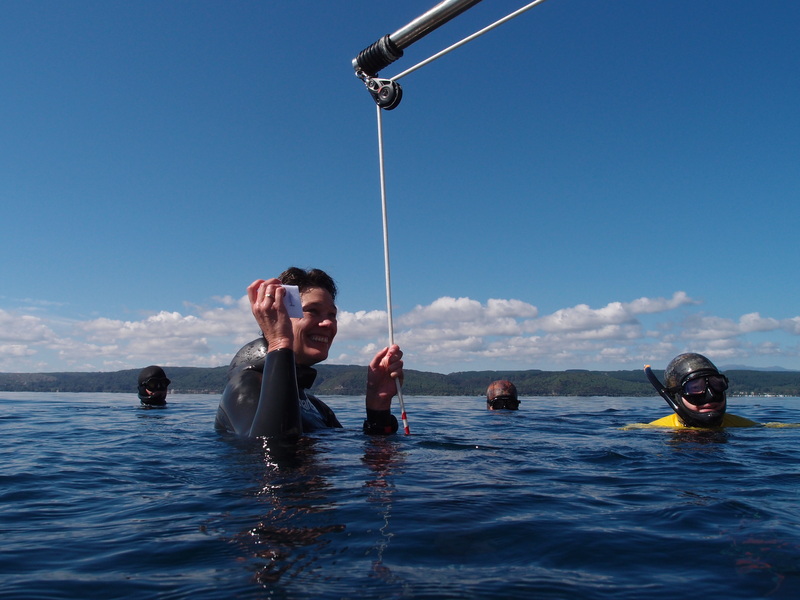 Freediving NZ runs a counterweight competition line for safety, and has at least 2 medic-trained personnel on site during the competition. 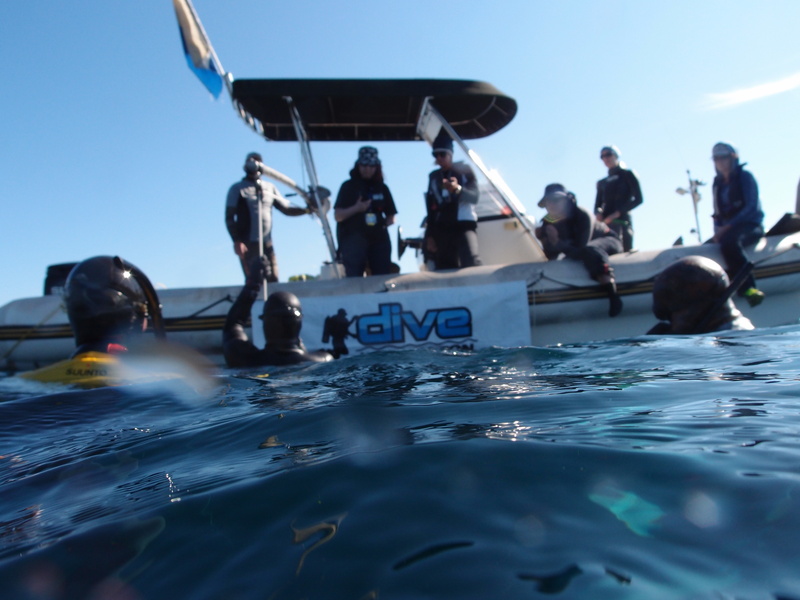 All health and safety procedures are vetted and checked beforehand, and the safety briefing is mandatory for all competitors.